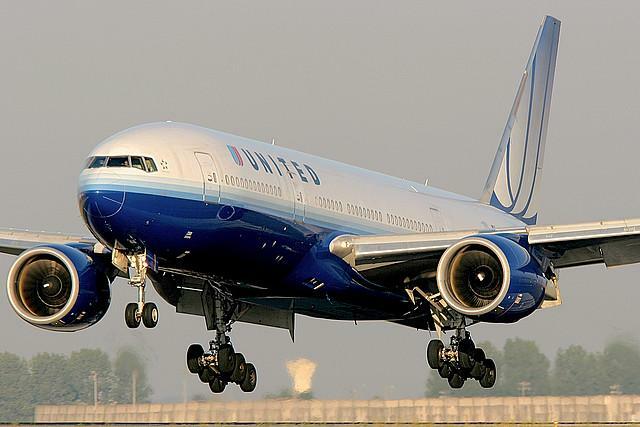 United Airlines is the latest carrier to announce it will be handing iPads to its pilots. This isn’t so they can play Air Hockey against each other during quiet moments between take-off and landing, but so that they can get rid of heavy paper flight manuals. The move should make both the job of the pilots and the aircraft more efficient. Pilots working for United and Continental, which merged last year, will begin receiving iPads this month. By the end of the year, all 11,000 pilots working for the company should have one of the devices. The devices will be loaded with a specially designed app, Jeppesen Mobile FliteDeck, which features interactive, data-driven enroute navigation information and worldwide geo-referenced terminal charts. According to United’s statement, a pilot’s traditional flight bag can consist of as many as 12,000 sheets of paper. With all that paper cluttering up the cockpit, it’s a wonder they can see the airpane’s instruments. The paper flight bag can weigh as much as 38 pounds (17kg), while an iPad tips the scales at less than 1.5 pounds (under 1kg). On top of that, pilots will have access to masses of flight information through a simple tap or swipe of the finger. United aren’t the only airline to turn to Apple’s iPad in a bid to improve efficiency. In May, Alaska Airlines became the first major US airline to get approval from the Federal Aviation Administration to use the iPad as an EFB. Delta Airlines has also been testing the viability of using tablets in the cockpit. And last week British Airways announced it was trialing the use of iPads with members of its cabin crew. It can’t be too long before airlines begin replacing the in-flight magazine with a tablet, can it?